Happy Wednesday Everyone! 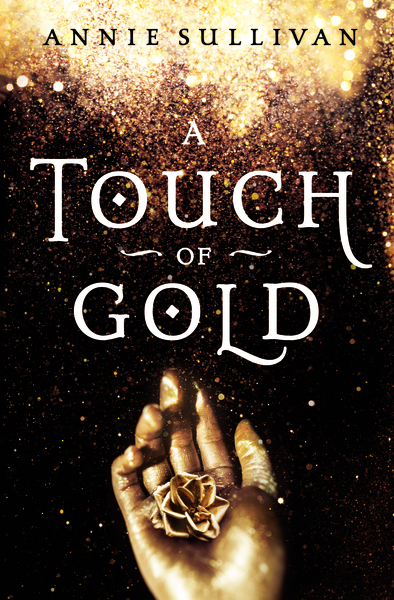 Today I’m excited to have debut author Annie Sullivan here to share about her YA fairytale retelling A TOUCH OF GOLD. It sounds like a great retelling of King Midas that has been described as fast-paced and beautifully written. Can’t wait to read it. The co-hosts this month are: Erika Beebe, Sandra Hoover, Susan Gourley, and Lee Lowery! I am not published, so I am looking forward to learning about pitfalls from you all. But I do think one pitfall is not being realistic about how hard this journey is. It can take a long time and many different manuscripts to write one worthy of publication, to get an agent if you want to go that route, to sign a publishing contract, and to be successful once you publish. And the road isn't always easier once you debut. That's what I've seen and come to know from watching authors debut and grow in their careers. What pitfalls do you think we need to be aware of? Hi Annie! Thanks so much for joining us. over 50 countries! I also love fairytales. Growing up, I watched pretty much every Disney movie, and my mom would read to me all the time. I think that sparked my interest in becoming a writer because I loved hearing about far-off places and dreaming up my own fantasy worlds. 2. Wow! You did travel a lot. Where did you get the idea for A TOUCH OF GOLD? I came up with the idea for A TOUCH OF GOLD after watching the first Pirates of the Caribbean movie. It seemed so inconvenient to track down every piece of the cursed treasure. That got me thinking about cursed gold, which led to King Midas. But, I typically write about strong female characters, so that led me to King Midas’ daughter. None of the myths ever say what happened to her after her father turned her to gold. I wanted to explore her story—her curse! 3. What was your world building process like? Anytime I’m writing about magic, I like to deal with that first. You want the magic to feel consistent, believable, and ingrained in the story. After I knew how the more fantastic elements worked, I set about creating the landscapes and the mythological creatures that belonged in them. Overall, it was a really fun process because I wanted to pay homage to the Greek myths while also infusing them with a bit of new life. So readers will see some familiar elements with a few new surprises along the way. 4. Yes, getting the world right is important but not always easy to set right away. Your story sounds like a real page turner. How did you keep the pace fast and what was your plotting process like? I like to keep a fast pace because I know if I’m bored as the author, then the readers will be bored too. Keeping a high amount of energy subtly reminds readers there’s a lot at stake if the characters don’t complete what they need to in time. I do also like to throw in a few slower, more calm moments where you really get to know the characters because it’s just as important for the characters to have a chance to rest as it is for the reader. As for plotting, I’m a total pantster—meaning I fly by the seat of my pants when I’m writing. I don’t have a full outline. I have several guideposts along the way, but I like to leave the plot open to whatever crazy ideas occur to me while I’m writing. I get some of my best ideas by just letting the characters take the reins instead of forcing them to do what I dreamed up before I even got a chance to see them on the page. 5. Share a bit about Kora as a character. Did she come to you as a fully-developed character or did she develop more fully as you wrote her story? Kora developed over time. She is the daughter of King Midas, and her father turned her to gold for three days when she was seven years old. Now that she’s seventeen and been turned back into a living, breathing human being, she has some lasting side effects of being turned to gold—like golden skin and abilities that are getting harder and harder to hide. I always knew she was going to have golden skin and certain abilities, but the rumors that follow her around were an unintended consequence of that. And as a result of those rumors, Kora is a bit of an outcast. No one wants to touch the girl with the golden skin. This really shaped Kora’s whole character arc and how she interacts with others. So Kora’s character was definitely shaped as the book went on. When I was looking for an agent, I created a spreadsheet to keep track of agents I submitted to. 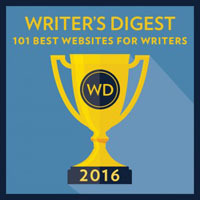 I actually used www.literaryrambles.com as my main of hub of finding agents to query. Christa was on that list, but before I sent her an official query, I saw on Twitter that she was having a contest on her blog. Participants had to post the first 250 words of their novel and a winner would be randomly selected. 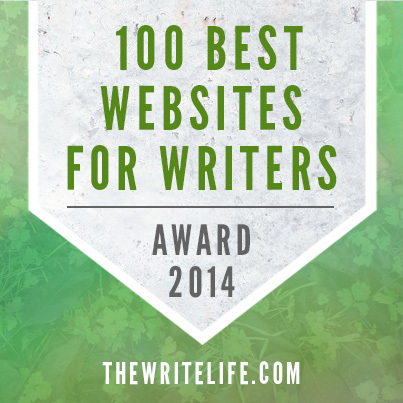 I didn’t win, but Christa read my first 250 words and loved them. Then she asked for more pages and more pages until she had the full manuscript. I ended up getting two offers from agents (and Christa’s offer even came while I was on vacation in Antarctica and didn’t have good Wi-Fi to respond!). Thankfully, my sister was monitoring my email account for me and was able to let Christa know I’d respond soon. I hopped on the phone with Christa, and I knew she was the agent for me because she and I had similar visions for not just my book, but my career too. We ended up going on submission with a different book while I completely overhauled A TOUCH OF GOLD. 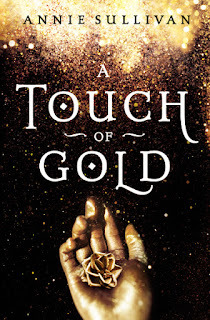 When I was done with revisions, Christa thought that A TOUCH OF GOLD was really strong, so we pulled the book that was out on submission and ended up getting a deal for A TOUCH OF GOLD! 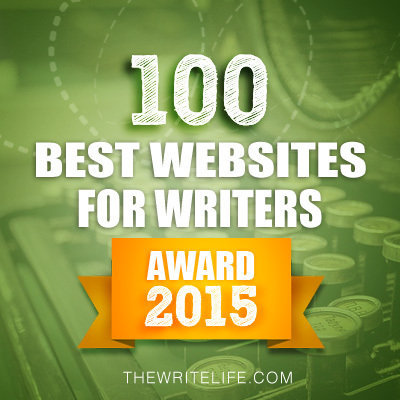 It was definitely a long, winding process to get published—but it’s been so worth it! 7. Glad my blog helped. And so funny that you were in Antarctica when Christa e-mailed you. You also teach writing and are a copy specialist at John Wiley and Sons, Inc. How do you balance these jobs with your job as an author? What advice do you have for the rest of us who still work and have other commitments but want to be productive as a writer? Sometimes it can be hard to balance, but my best advice is to find the moments where you’re wasting time or not using your time wisely. For example, I use my lunch break at work to get some writing in or do other book related tasks. I also honestly stay in a lot—weekend nights are great quiet writing time. If you want writing to be your career, then you have to treat it like a job. This means carving out time and making it a priority. Maybe get up an hour earlier or turn off the television one episode sooner. 8. I saw on your blog that you are participating in My Favorite Fairytale Blog Hop with 12 other fairytale writers. How did that blog hop come about and how did you connect with these writers? That blog hop came about from a group of authors who found each other through a really great Facebook group dedicated to fairytales! An author named Shonna Slayton brought us together because she knew we all had similar audiences and could reach a wider group together. If you love fairytales, I highly recommend the group! 9. What else are you doing to promote your book? As a debut author, I am expected to do a lot of marketing, and I have to try to draw readers in any way that I can. This is a grassroots movement, and it starts with me telling others. My family and Facebook friends have been great about getting the word out there too. I’m also going to be doing a preorder incentive in addition to having a street team help spread the word about the book. I’m doing giveaways, ads, Instagram pictures, and anything else I can think of to get my book noticed online. I’m also trying to go to as many in-person events as I can. This includes conferences like BookExpo and BookCon because these are great places to interact with both readers and writers. I’m currently working on a sequel for A TOUCH OF GOLD. We’re going to meet some really cool new creatures and encounter even more Greek mythology in this next book, so I can’t wait to share it with everyone. Outside of that, there are a few other retellings that I’m working on, so I’m busy at work bringing readers fun new fairytale and fantasy books. Annie has generously offered an ARC of A TOUCH OF GOLD for a giveaway. o enter, all you need to do is be a follower (just click the follow button if you’re not a follower) and leave a comment through August 18th. If your e-mail is not on your Google Profile, you must leave it in the comments to enter the contest. If you mention this contest on Twitter, Facebook, or your blog, mention this in the comments and I'll give you an extra entry. You must be 13 years old or older to enter. The giveaway is international. Hope to see you on Tuesday, August 14th! Love the sound of Touch of Gold - a unique twist on the Midas tale! 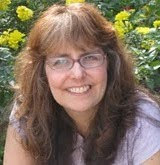 Natalie - you're so right with your pitfalls - thank goodness writing is also so much fun! Hi Natalie, I completely agree that it will take us many manuscripts to write one that will get us an agent or a publishing deal. Hi Natalie! You're right...a reader-worthy book isn't written in a day. We need to make sure we're delivering our best each and every time. Hope you have a great week! Unrealistic expectations just means a lot of disappointments. I admire people who just write. I tend to outline to death. Sounds like a great book! It's great to meet Annie and also learn that your site helped with her agent search, Natalie. Getting published/publishing is a lot of work, far more than a person realizes. Great interview with Annie! Her book sounds really good, and the tale of how she got there really reminds how much work it takes, not to mention persistence and probably some organization! Natalie, the whole publishing process is really slow! That's probably a good thing. It takes time to make a manuscript clean and shiny. I should have waited. Live and learn! Congrats on your new release, Ann! It sounds really good. I followed and tweeted! What luck you entered that contest, Ann. Natalie, it does take many books. It's rare someone has a Nicholas Sparks experience. I wish I'd had all of this advice from authors years ago. I would have done several things differently. 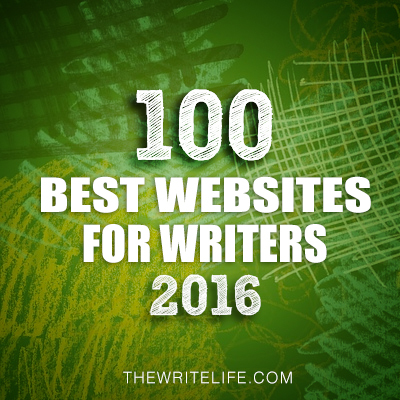 I hope authors who read these posts today take them to heart; they're very valuable. Congratulations to Ann on her story about King Midas' daughter. It sounds delightful. Congratulations Ann! Your story sounds enthralling! This sounds like a fascinating story. I love fairy tales and retellings. I can't believe Annie has been to every continent. WOW! So far I have only been to the one I live on. I love that Annie got her agents to query from your blog. 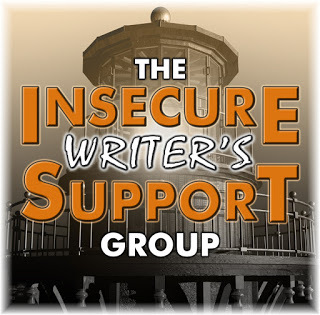 You are such a fabulous resource for authors. :) Love the interviews and bookish posts. I'd love to win a copy of A Touch of Gold. Best of luck to Annie. I don't think anyone has any real idea of how hard it is to write a book until they make the attempt themselves. I love the premise of Touch of Gold. Congrats, Annie!! Hi, Natalie! Totally agree about publishing being a HARD road. 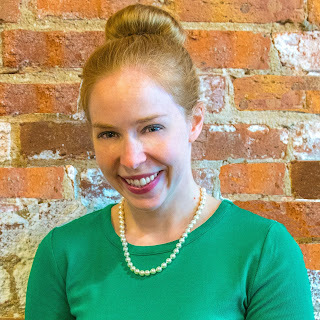 How gratifying that your blog helped Annie find an agent. Best of luck to Annie on her release. Stories based on fairy tales are very popular. The writing journal is hard. What a neat idea, Annie. Congratulations. Best of luck to you. As for pitfalls, Natalie. For me, even after all these years, it's getting in a hurry and wanting to send my story off. Must be patient. Love the premise of the book. Good luck Anne. It is a long journey to publication. Patience is truly necessary. Natalie, wonderful interview. Annie, this book sounds so creative and clever. Best wishes for success. Such an intriguing premise for a story. Best of luck with this, Annie, and with the completion of the sequel. I'll have to pass on the giveaway with my MG stack growing once again. This book sounds great—I always like books that put a new spin on existing stories and legends. Also, it's always neat to hear about how authors balance writing their books with finding agents/publicizing/having regular jobs. I'll pass on the giveaway, but thanks for the review! Natalie, you are so right that it takes a long time to be published. 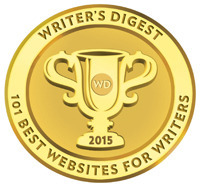 That's good in that the writer needs experience and time to grow. Loved the interview, Annie. Your book sounds so intriguing. Love her name. It's one of my granddaughter's name. Great interview! Congrats on your upcoming release! I've been looking forward to this book's release for a while now. Would love to win it! What a great interview. I love the premise to the book will have to grab a copy. Definitely sounds like something I will enjoy reading. Congrats. I'm really looking forward to A TOUCH OF GOLD. Thanks for sharing your process, Annie, and best of luck with the release! Touch of Gold sounds like a great read! I love how you came at the idea and how your grew your character with the story! Natalie - Yes, it's not easier, it's actually tougher, I think. Having realistic expectations is a wonderful advice, Natalie. Not easy to follow, though. We all like to dream big. Your book sounds like fun, Annie. You're right. Many authors start out not being realistic. It's good to be hopeful, but being realistic can save a lot of time, tears, and frustration. Great interview. Touch of Gold sounds like a fun read. Sometimes I wish I could stop myself from outlining, but it's not in my nature. Thank you for doing the interview. I loved when you said, "want the magic to feel consistent, believable, and ingrained in the story". Bit new to the magic..my MG has a touch, and this helped me. I would love to read your story. Not yet being published either, I share your thoughts on the pitfalls that lie ahead. It can be a long road with many twists and turns. Enjoying the journey as much as possible is therefore very important I think. What a great spin on the King Midas story! I've only been to two other countries than the U.S.
A Touch of Gold sounds like a great read! This sounds like a great twist on the King Midas story. Thanks for the giveaway and sharing your route to publication! Great interview and the storyline of the book is fantastic! I'm a total pantser, too. I'm always glad to meet another one! Thanks for the giveaway! I love that your inspiration for A Touch of Gold was Pirates! Whenever those movies are on I get sucked in. Every. Time. Hi Annie, love the premise! That's a cool idea to continue the Midas story with Kora. Sound like a great book! It's a long, hard journey... that's for sure. Annie Sullivan is a well-traveled lady - every continent and over 50 countries? Wow! I can imagine the wealth of ideas generated from such extensive traveling! Great book cover!